Msgr. 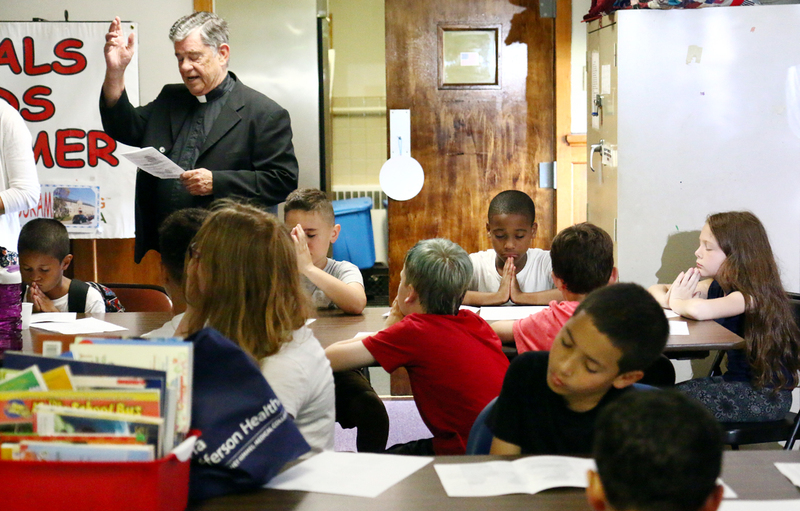 Daniel Sullivan encourages campers to practice kindness at the Catholic Social Services (CSS) Northeast Philadelphia Family Center, June 28. 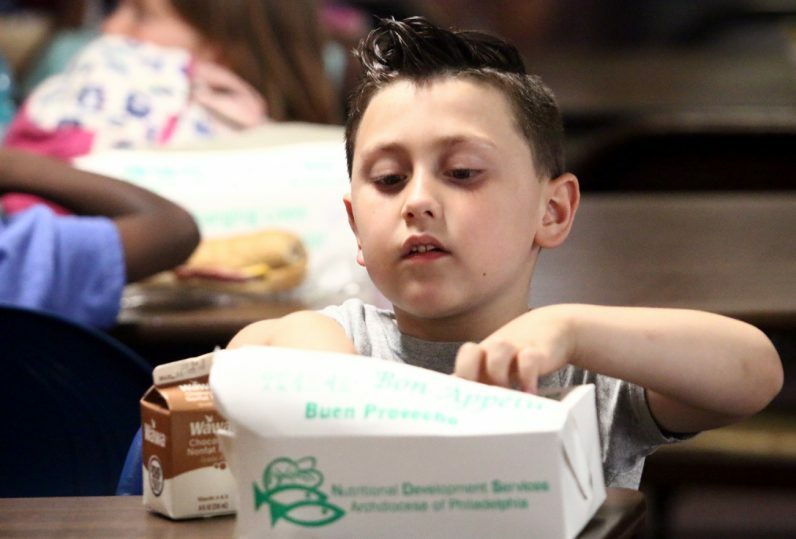 He presided over the 12th annual “Blessing of the Summer,” which kicks of the summer meals program offered by archdiocesan Nutritional Development Services (NDS). 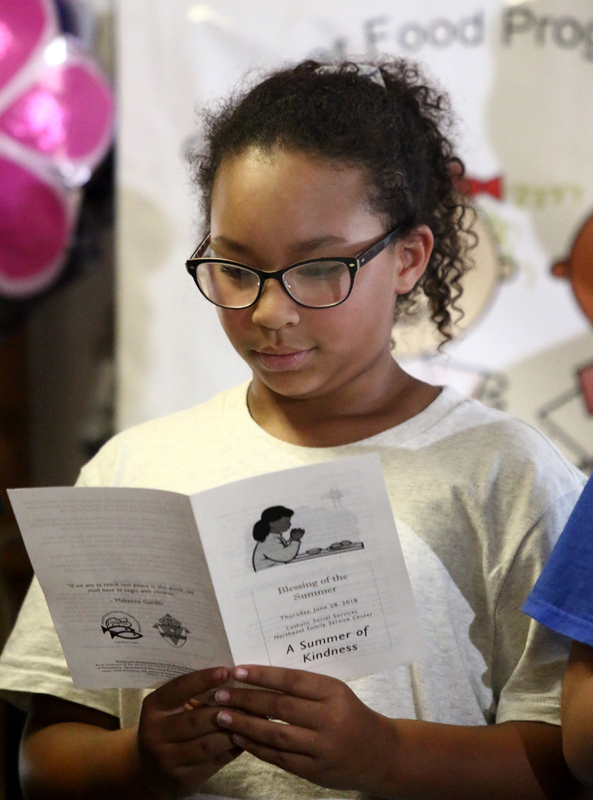 Campers at the CSS Northeast Philadelphia Family Service Center pray for a summer of kindness at the 12th annual “Blessing of the Summer,” June 28. Msgr. 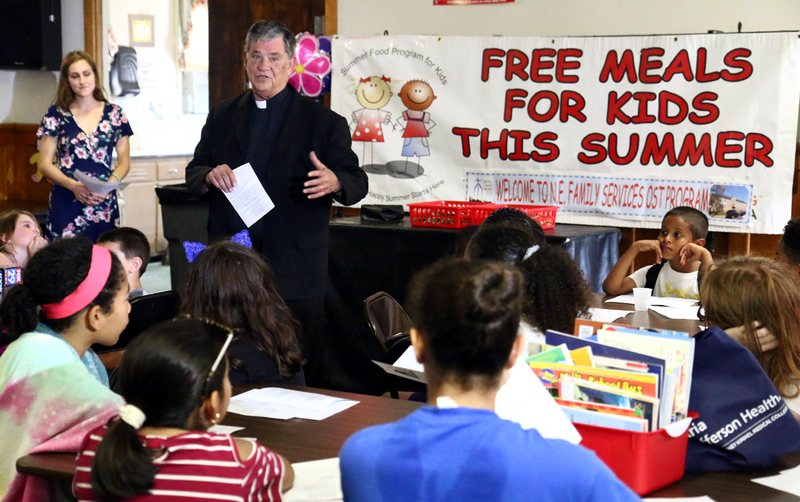 Daniel Sullivan blesses the summer meals program at the CSS Northeast Philadelphia Family Service Center, June 28. Brooke Mullen, assistant director of NDS’s community relations, and Msgr. Daniel Sullivan distribute motivational bracelets to summer campers during the annual “Blessing of the Summer,” June 28. 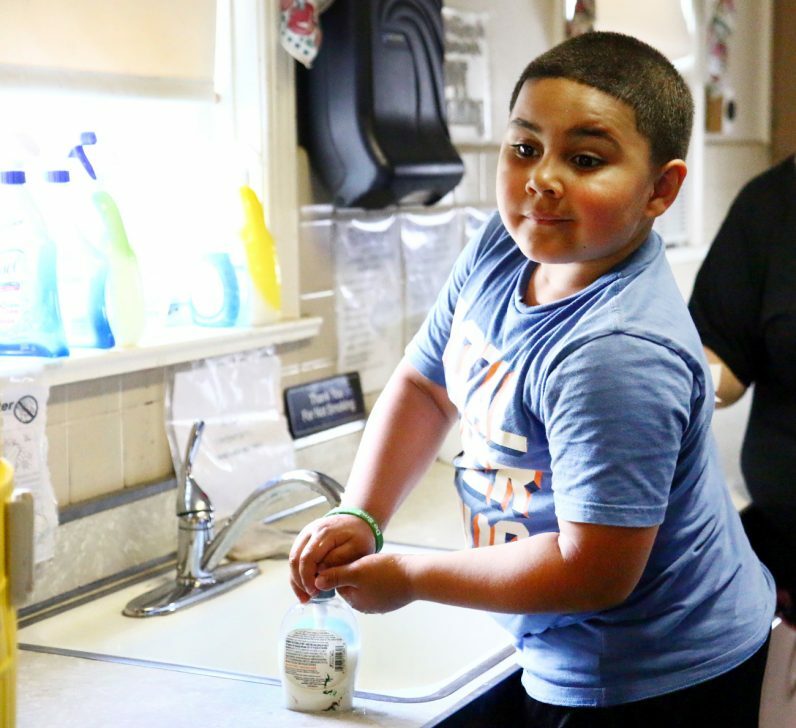 Matthew Rosado, a summer camper at the CSS Northeast Philadelphia Family Service Center, washes his hands before lunch at the center’s summer kick-off, June 28. 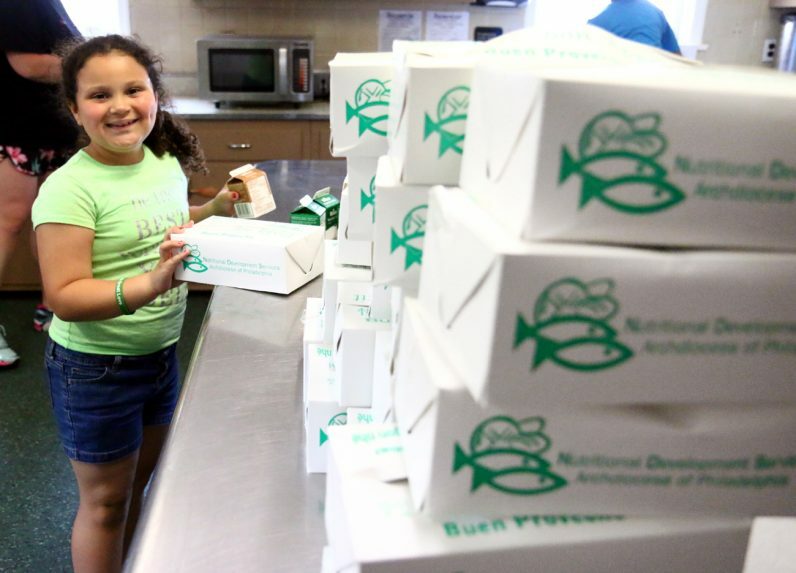 Emien Figueroa selects a boxed lunch at the 12th annual “Blessing of the Summer,” June 28. 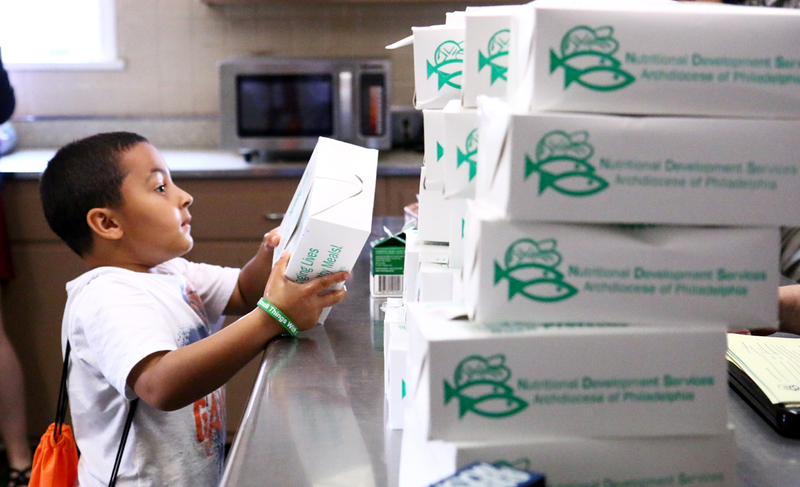 Alexis Gonzalez shows his boxed lunch during the 12th annual NDS “Blessing of the Summer” at the CSS Northeast Philadelphia Family Service Center, June 28. 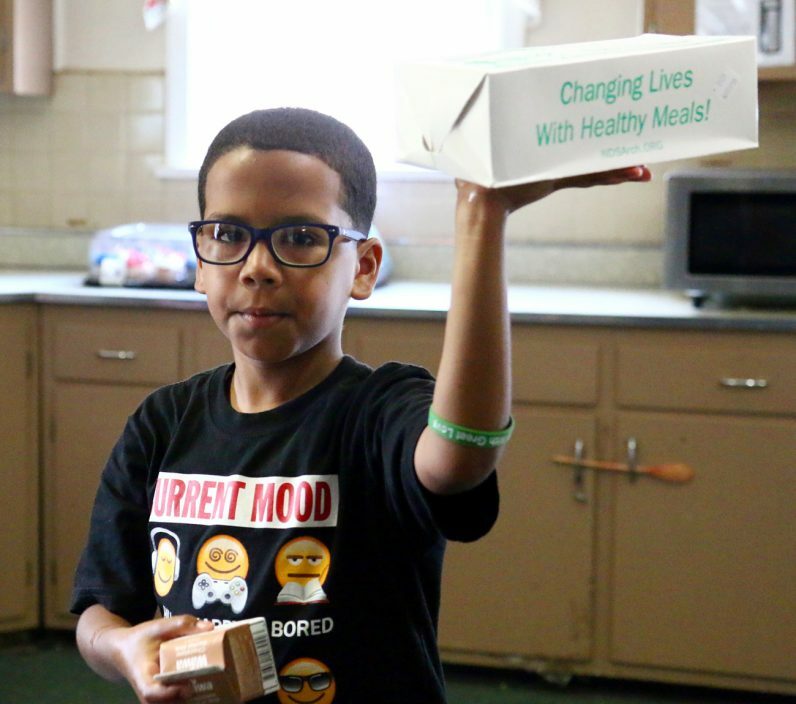 Alexis Jurec looks forward to lunch at the CSS Northeast Philadelphia Family Service Center. 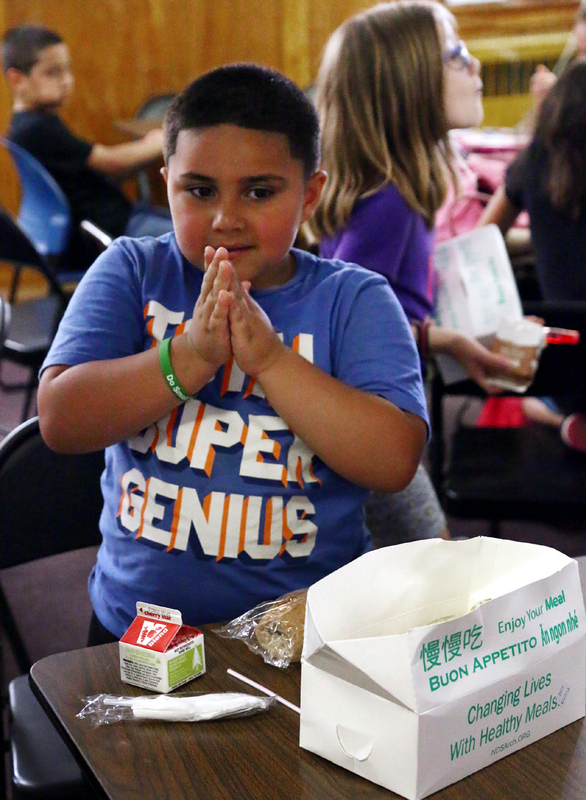 Matthew Rosado prays before eating his lunch. 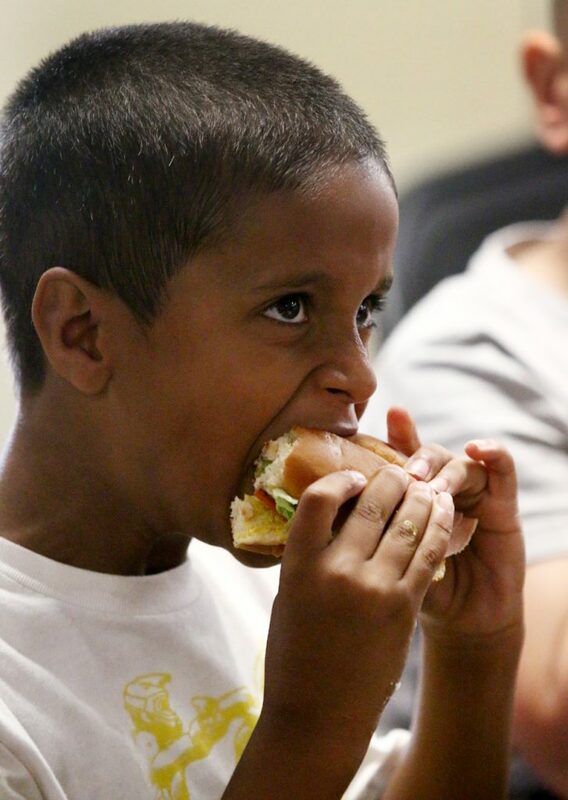 Izaiah Owens takes a bite of his sandwich after the 12th annual NDS “Blessing of the Summer” at the CSS Northeast Philadelphia Family Service Center, June 28. Nathan Perez sets out items from his boxed lunch at the CSS Northeast Philadelphia Family Service Center, June 28. 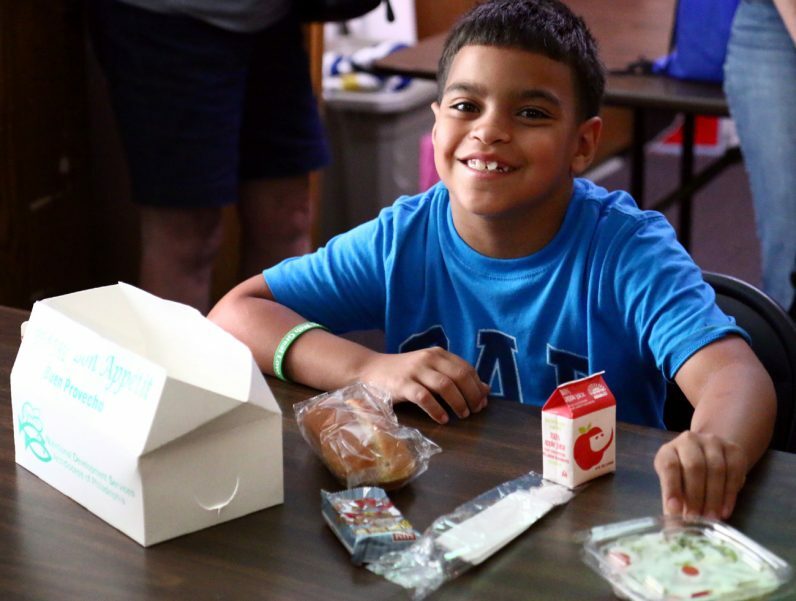 Noah Serrano explores the contents of his lunch. 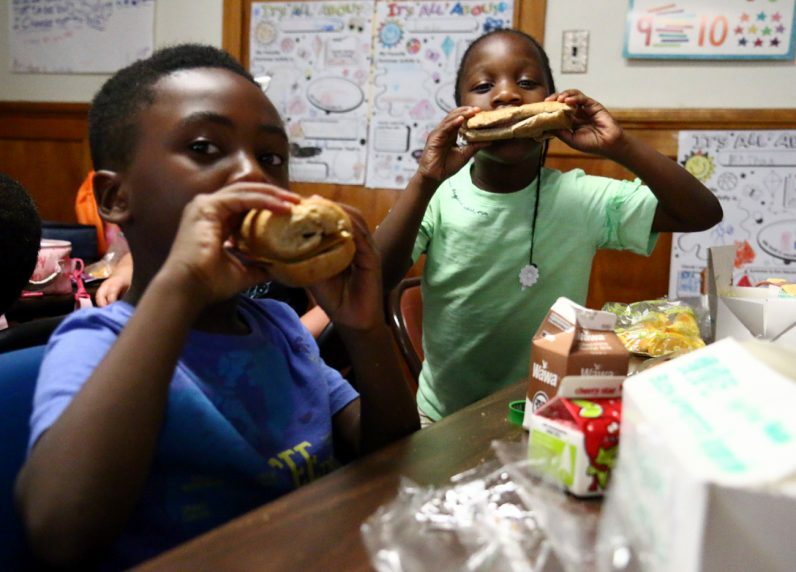 Eli Wilson (left) and Gabrielle Biawogei enjoy sandwiches provided by archdiocesan Nutritional Development Services. 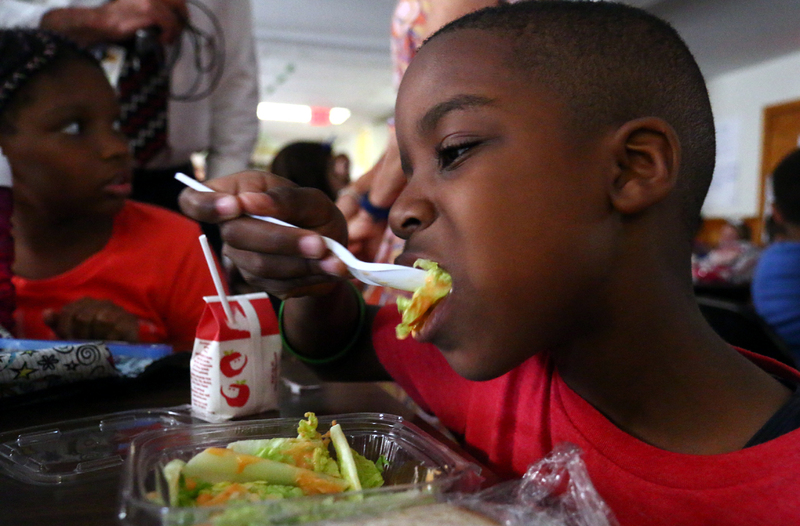 Brendan Huggins enjoys a salad provided by NDS through its summer meals program, June 28. Last year, the federally funded program served over 750,000 breakfasts, lunches, snacks and suppers to area children. 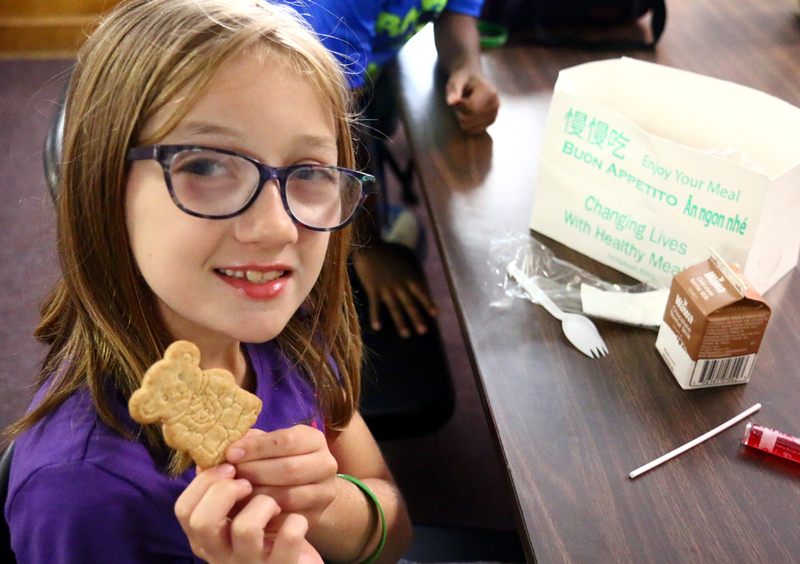 Alexa Laird enjoys a cookie after finishing lunch provided by archdiocesan NDS through its summer meals program, June 28.